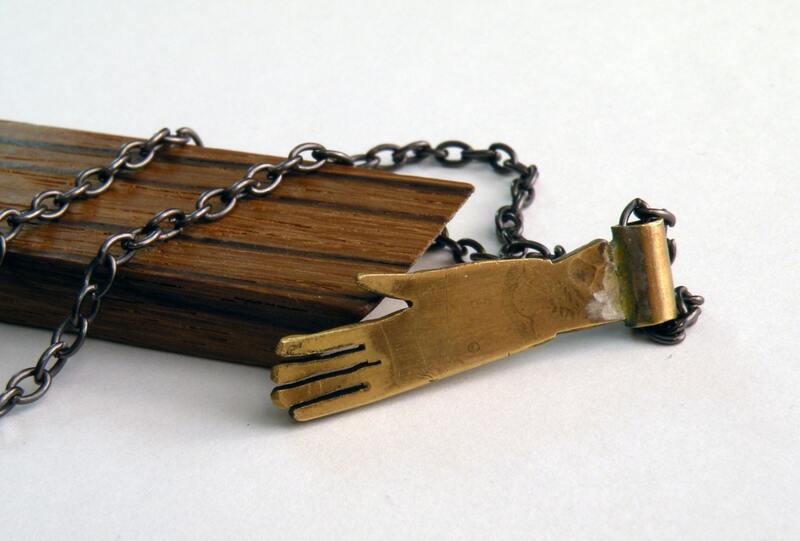 I carefully hand cut, file, and solder beautiful gold colored brass to form a rustic hand pendant. 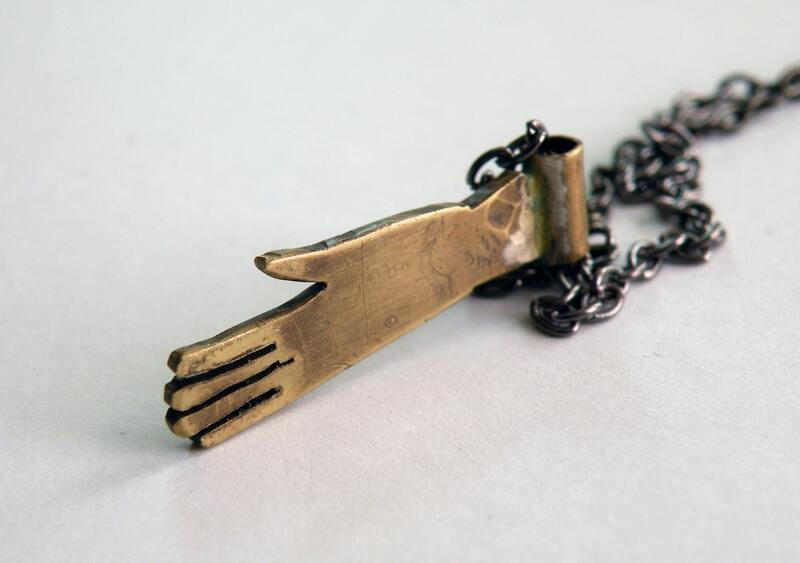 This could be made with sterling silver, copper, gold, or blackened. 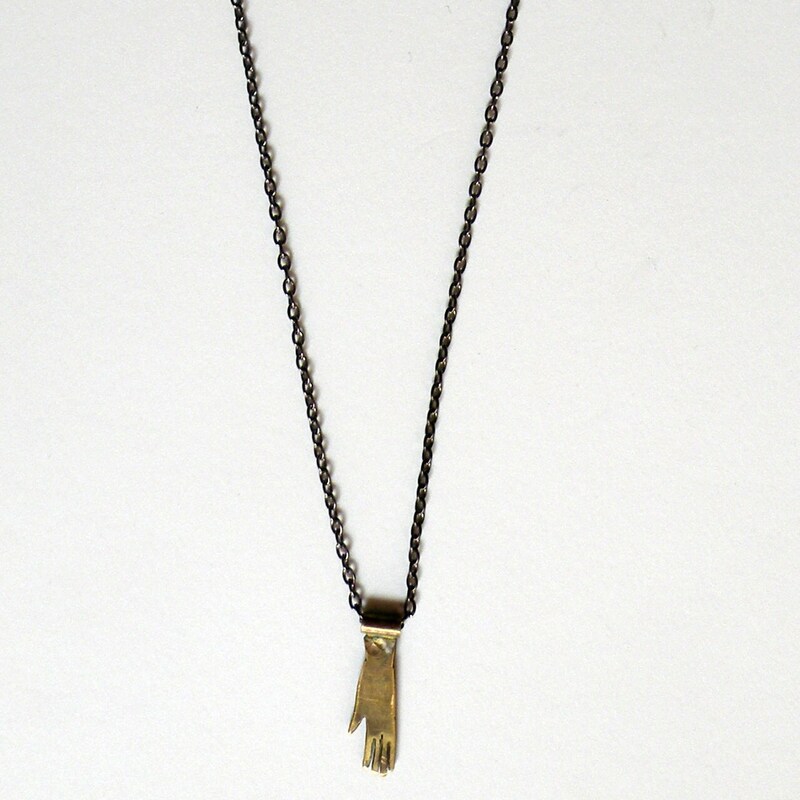 The hand is approximately 1" long and hangs on a 26" gunmetal chain with one 14k gold plated link. Every piece is made to order to the above specifications. I invest great care in every piece. 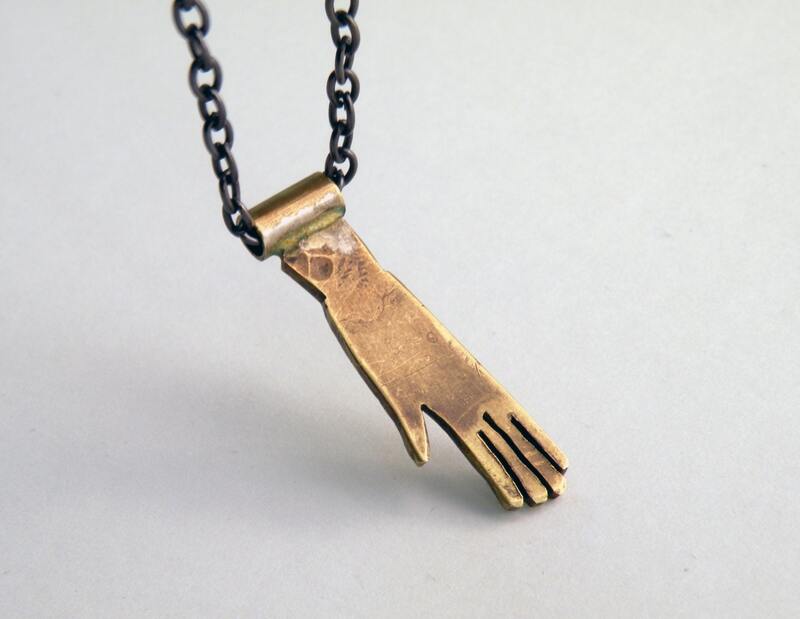 You can expect your necklace to closely resemble the one pictured, However, all pieces are made by hand one at a time, so expect yours to have it's own unique but beautiful idiosyncrasies. 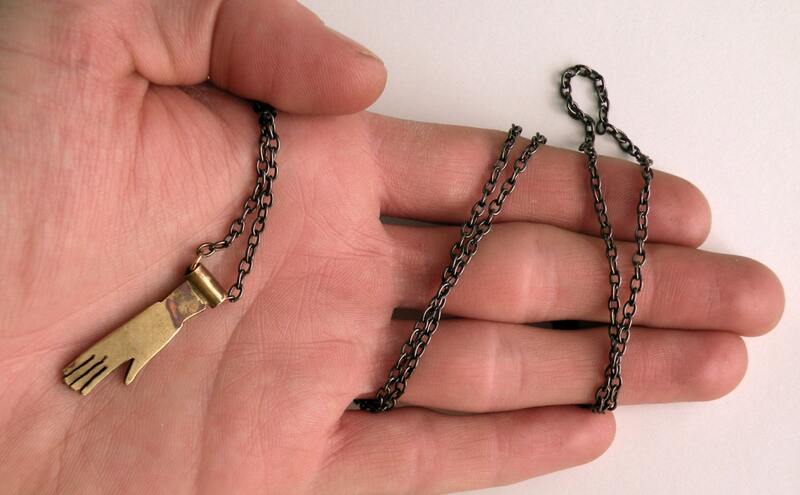 I'm happy to adjust the length of the chain, swap chain styles, or make any custom changes as specified.